Here is the 2016 San Jose Sharks Qualifying Tournament in its entirety. Two unanswered goals in the third period of Game 1 led the 2nd-seeded ’09-’10 San Jose Sharks to a 3-1 win. Ryane Clowe accounted for two of those goals for the ’09-’10 Sharks as Evgeni Nabokov allowed one goal on 30 shots against. Then, in Game 2, the two sides were tied at two after two periods, but then defenseman Rob Blake scored the lone goal of the third to give the ’09-’10 Sharks a 2-0 series lead. The top-seeded ’06-’07 San Jose Sharks got on the board with a 4-2 win in Game 3 after they scored three times in the third. Longtime NHLer Bill Guerin scored twice for the ’06-’07 Sharks while Big Joe Thornton tallied three helpers. They then took Game 4 by a score of 5-2 thanks to goals from five different players, but four players did register both a goal and an assist, including Big Joe. The ’09-’10 Sharks got back on track in the series with a 6-3 win in Game 5. Manny Malhotra scored twice for the ’09-’10 Sharks while defenseman Matt Carle scored twice for the ’06-’07 Sharks. Game 6 was tied 1-1 after two periods, but the ’06-’07 Sharks scored two unanswered goals in the third to win 3-1 and force a Game 7. Patrick Marleau starred in the Game 6 win for the ’06-’07 Sharks as he scored two of their three goals and added an assist. 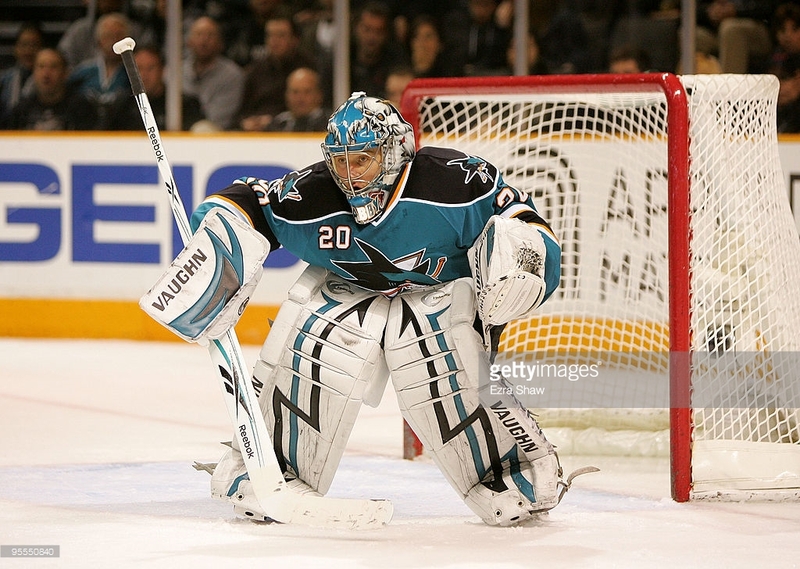 In Game 7, both Big Joe and Marleau totaled three points as Nabby stopped 41 of 43 shots against as the ’09-’10 Sharks won 6-2. The ’09-’10 Sharks are now the 10th team to now be representing their franchise in all three Ultimate NHL Playoffs. Up next is the 2016 Washington Capitals Qualifying Tournament! This entry was posted in Qualifying Tournament, Ultimate NHL Playoff and tagged Bill Guerin, Dan Boyle, Dany Heatley, Evgeni Nabokov, Joe Thornton, Manny Malhotra, Matt Carle, Patrick Marleau, Qualifying Tournament, Rob Blake, Ryane Clowe, San Jose Sharks, Ultimate NHL Playoff. Bookmark the permalink.